Using SharePoint Online as a document repository opens up many benefits to Microsoft Office users. 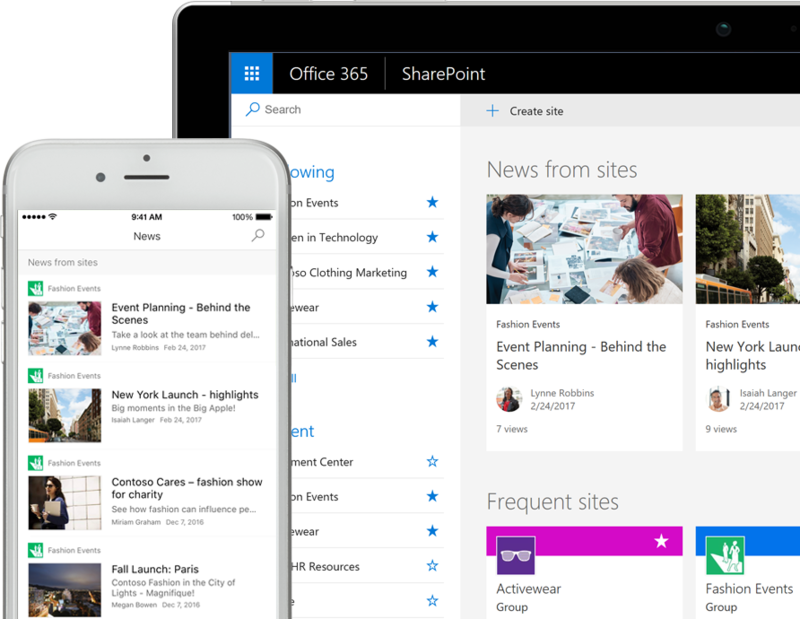 SharePoint Online is included with a variety of Office 365 subscriptions including Business and Enterprise (E1, E3 etc). The ability to share documents outside your organisation opens up a world of new collaboration possibilities. All participants work on a single copy of the document. Users can see who is editing at the same time. SharePoint’s versioning allows you to roll back to previous versions, see who made changes and when. This setting is applied per document library. Out of the box ‘Approval’ and custom ‘SharePoint Designer’ workflows can be used to manage the approval process. Policies can be applied to content types or document libraries. Policies can include read only, disable copy text, disable local saving, disable printing. Supports Office 2003 or later document, XPS and PDF formats. External users aren’t associates or contractors to your organization do not require a license. This includes clients, partners or clients. The link can be time limited e.g. expire after x days. External users can contribute to documents, submit metadata and view content within allowed sites based on the permission level you grant. Documents, libraries and sites can be shared. External users cannot see task rollups, create a user profile, use the Search Centre and are not entitled to use your Office licensing. SharePoint Online also has audit capabilities to see who can access particular documents, report on who accessed documents and allow the administrator to remove external users who are no-longer permitted to access documents. Sharing sites and documents with people outside your organisation. Setting up Information Rights Management in SharePoint Online. If you would like to give this a try, contact our team today and we’ll use ‘External Sharing’ to give you access to a trial site.